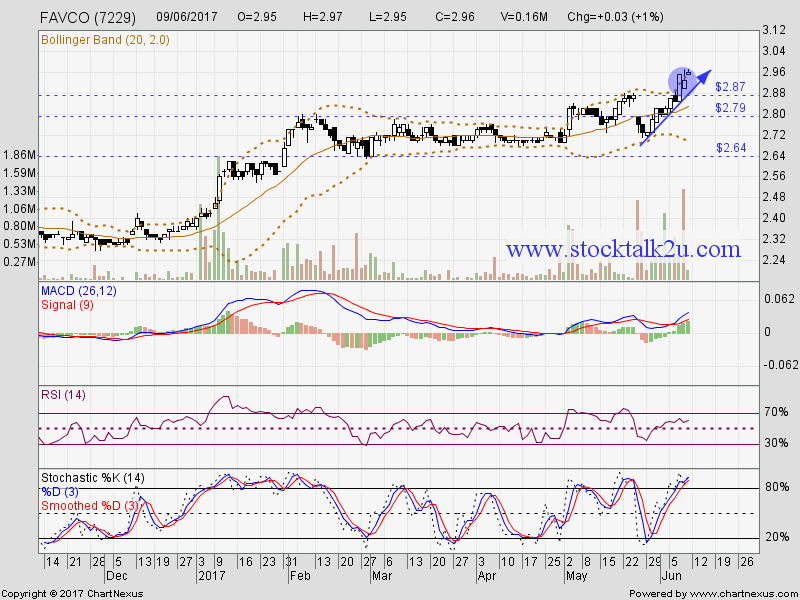 FAVCO succeed breakout RM2.87 resistance level, higher high is confirmed. 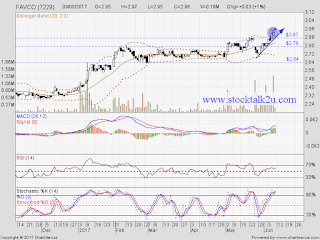 Immediate resistance @ RM2.96 level. Subsequent resistance @ RM3.15 level. Immediate support @ RM2.87 level. Subsequent support @ RM2.79 level.